Our hospice program is committed to providing the highest quality hospice care to patients, their families and close friends throughout Philadelphia and surrounding counties. We care for terminally ill patients with a wide range of illnesses including cancer, advanced cardiac disorders, advanced neurological disorders, AIDS, ALS (Lou Gehrig’s disease), Multiple Sclerosis, Alzheimer’s, and any end stage disease. Most hospice care is considered "routine care", and is provided to the beneficiary in their home, in accordance with the beneficiary’s needs. However, there are times while under hospice care, that the beneficiary needs additional services, and the Medicare hospice benefit allows for these needs by providing additional levels of care. When a beneficiary needs additional services, or another level of care, it should be clear in the documentation what precipitated the change, and any attempts to maintain the beneficiary in routine care prior to the change. There are four hospice levels of care. Routine home care is billed when none of the other levels of care is appropriate. The 3 remaining levels of care include Continuous, General Inpatient and Respite. Hospice care is a cost-effective alternative to high costs associated with hospitals and traditional institutional care. Hospice care allows terminally ill patients and their families to remain together in the comfort and dignity of their home. 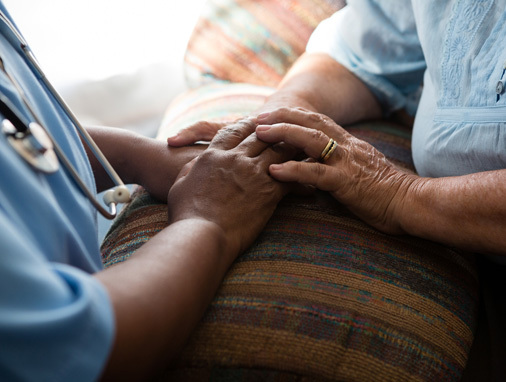 Hospice care relies on the combined knowledge and skills of an interdisciplinary team of professionals, including physicians, nurses, home care aides, social workers, counselors, and volunteers. Hospice is the preferred choice of health care delivery for the terminally ill and their patients. Hospice treats the person, not the disease; focuses on the family, not the individual; and emphasizes the quality of life, not the duration. If you have additional questions please contact our agency and we would be glad to answer any questions you may have.